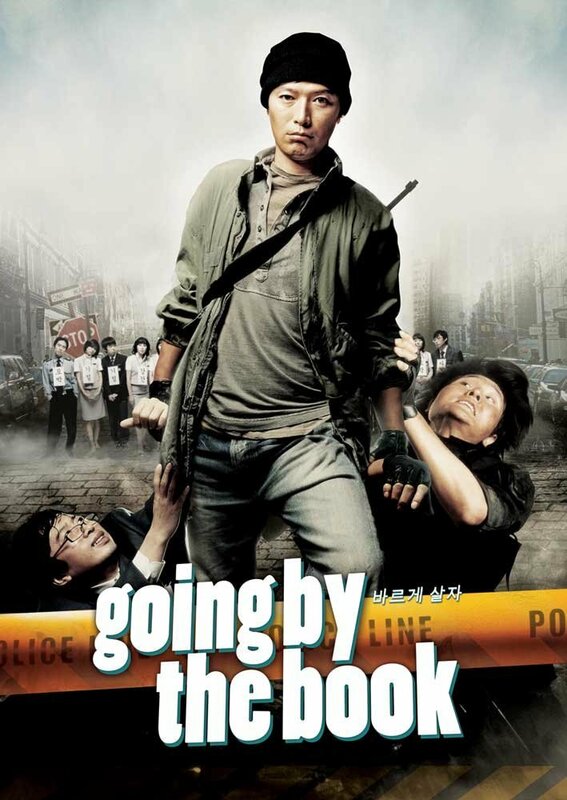 Going By The Book is an interesting South Korean film about a police officer who is tasked with being the bank robber in a mock bank robbery. This all comes about because of a large number of bank robberies, so the new police chief feels a realistic bank robbery simulation to show how the police can quickly and decisively bank robbers will restore confidence in the towns people and put the fear in real bank robbers. Every member of the police force will play a role, and though most will be acting as officers there are a few who will be innocent bystanders, and of course one who will play the bank robber. The cop turned pretend robber is traffic cop Jung Do-man, and the title of the movie is a reference to how this straight-laced cop always does things by the book, including giving the brand new police chief, Lee Seung-man, a traffic ticket for making an inappropriate left turn. While all the other officers draw slips of papers to determine their roles, the chief specifically hand picks Jung Do-man to be the robber. He gives him this advice: "Just do your best for your given role". This is advice he will eventually regret! Jung Do-man then goes into research mode, learning all he can about robbing banks in order to be the best robber he can be. It's a funny montage sequence of him watching movies, reading books, studying articles and video footage, and trying on outfits. But before long, it's time to start the mock robbery, and here's where things really start to get good. It isn't just officers that are involved, but bank staff and bank customers as well. The dynamics between Jung Do-man and the bank hostages are quite entertaining, especially when they all get into discussions about the various situations. It's also quite clever how Jung Do-man simulates some of the bad things that a robber might do.